Everyday Thousands of People Are Getting Their Identity Stolen! If You Have Use Your Credit or Debit Card Recently This Could Be You! Dont Be A Statistic, Solve The Problem That Tons of Americans Face Each And Every Day! Its Easier Than You Think For a Criminal To Get Your Personal Information And Use It To Not Only Obtain Goods And Services, But Also To Commit Fraud And Even Crime. Dont Be a Victim! Buy This Book And Protect Yourself Right Now Before Its Too Late! Identity theft is a crime that is becoming more and more common these days and affects everyone from the rich to the middle class to the poor. To steal a persons identity, criminals need just one thing to get started your social security number. Believe it or Not, its actually quite easy for them to get it, too! Sounds pretty scary, doesnt it? Whats even scarier is that YOU may be helping those criminals in ways you never even thought about. Now you will! You will have an edge over the criminals when you Start by ordering our amazing new book, Protect Yourself from Identity Theft. And its available to you only in this exclusive offer. 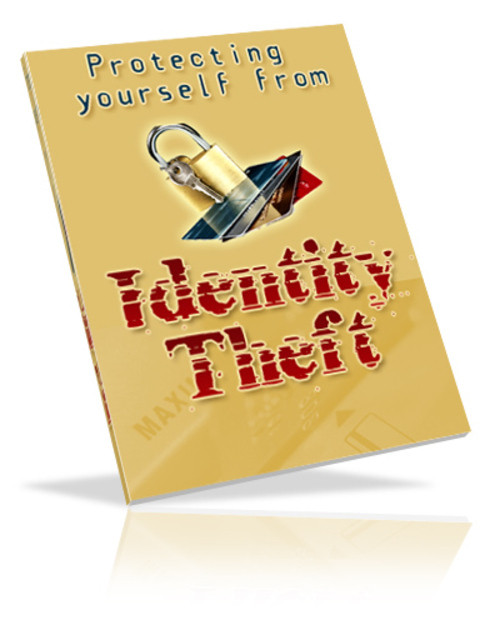 Over 10 million Americans are affected annually by identity theft. Thats a staggering statistic! Sometimes these criminals are never caught. When they are, its because the victim is vigilant about clearing their name and getting their identity back!